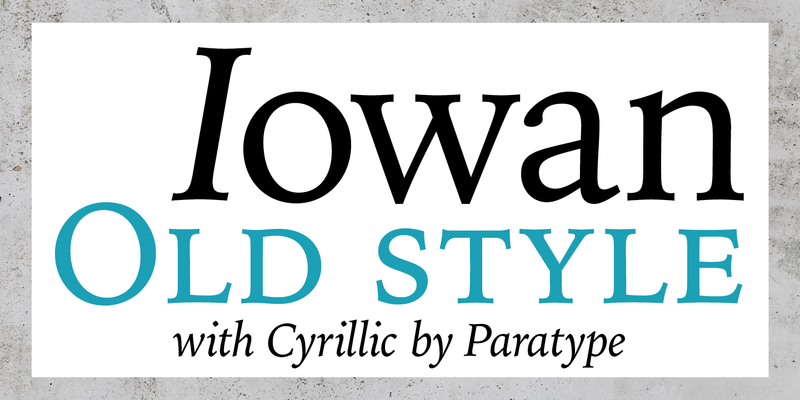 Iowan Old Style is a contemporary typeface created by John Downer together with Natalia Vasilyeva and published by ParaType which is available in 3 weights with accompanying italics. It is characterized by large x-height, more related characters, reproportioned capitals, cyrillic letters etc. Also it has multilingual support. It is perfect for magazine, nerspaper, poster, text, headline etc. Enjoy! Price: starting from $35 for one font to only $150,00 for all 6 fonts. A font description published on Wednesday, April 19th, 2017 in Fonts, Natalia Vasilyeva, ParaType by Alexandra that has 3,569 views.